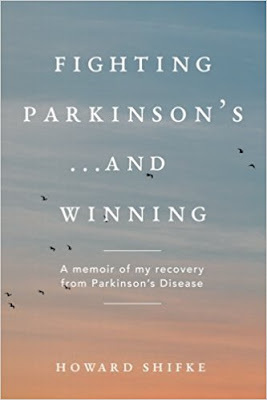 Today, I have Maria Fragapane, Kinesiologist who has read and reviewed the following book about fighting Parkinson's naturally. If you or someone you know has Parkinson's, this book is worth a read. Also, be sure to check out the author's website which is packed with useful information. In the fall of 2009, Howard Shifke was diagnosed with Parkinson's Disease. His mother had Parkinson's for twenty-four years before dying in 2007, just two years prior to Howard diagnosis of Parkinson's. Having watched her physically deteriorate from the disease and mentally deteriorate from the medications was difficult and frightening. Howard did not want to end up the way his mother had ended up with the disease. Fortunately, in 1999, Howard had started studying alternative healing and Traditional Chinese Medicine. In the ten years leading up to his diagnosis, he had learned the body has the ability to heal itself. 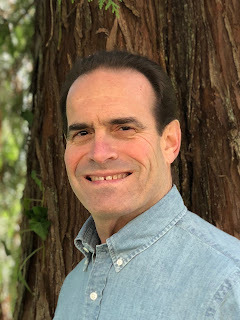 As a result, Howard decided he would endeavor to recover from Parkinson's, and he developed an alternative treatment methodology called his Parkinson's Recipe for Recovery®. Nine months later, he won the fight against Parkinson's with his full recovery. In Howard's two neurologist visits subsequent to his full recovery, his neurologist put him through all of the tests used for the original diagnosis. Both times, his neurologist documented in Howard's medical records that there were no signs or symptoms of Parkinson's Disease. Howard has been symptom free fully recovered from Parkinson's since June 12, 2010. 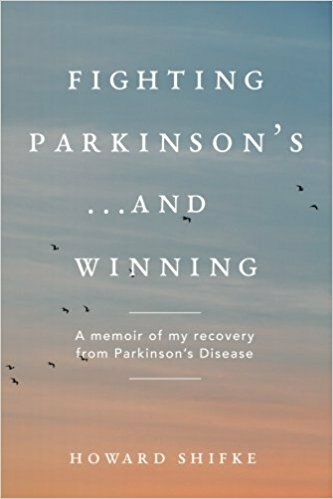 This memoir is the compelling account of Howard Shifke's drug-free healing journey from a diagnosis of Parkinson's disease to the reversal of his symptoms less than one year later. As a Kinesiologist who has been running fitness programs for those living with Parkinson's, this book caught my attention. For almost 20 years I have seen the devastating effects of the disease as well as the side effects that surface as a result of the medications taken. What was interesting about this book was that contrary to conventional thinking that you are a victim to Parkinson's, Howard took responsibility for his illness. He noted all the possible cumulative triggers and strategically developed a "recipe" to face them head on and heal his sick body, physically and emotionally. I was excited and inspired by both his journey and the destination. Using exercise (Qigong), healthy eating and stress release techniques, Howard watched as his body transitioned to what it was meant to be. He provides the reader with every detail of his recipe along with a link to his website that gives a more visual perspective of the very specific exercises. It is obvious that Howard simply wants to share his message and method. It saddened me, and yet did not shock me, that Howard experienced difficulty and was brushed aside when sharing his healing story and recipe with doctors, the Parkinson's agencies and organizations. There is such a powerful belief system around fighting diseases pharmacologically that what are seen as simple, basic strategies such as what we eat, how we move and how we think, go unnoticed or are simply seen as quackery. I cannot say for a certainty which part of the recipe was the magic bullet for Howard's reversal of Parkinson's. Perhaps it was one or two of the strategies, perhaps it was all of them. What I do know is that it doesn't really matter. It does teach the reader however that we all play a very big part in our health. If accepting that something we did made us unhealthy, then we are empowered to do something to gain our health back. I have already begun to share the information in this book with both colleagues and patients. People living with Parkinson's should read Howard's story. Howard Shifke was born in Miami, Florida on March 23, 1961. In 1983, he graduated from college and in 1986, he graduated from law school. On October 16, 1988, he married Sally, and they have three wonderful children. In 2009, Howard got Parkinson's Disease, and he developed an alternative methodology for recovery. In June of 2010, he became fully recovered from Parkinson's. He coaches people around the world in his Parkinson's Recipe for Recovery. Howard was a native Floridian, and in 2016, he and Sally moved 3,000 miles away to Warren, Oregon. Besides coaching people with Parkinson's, Howard enjoys reading, gardening, and a nice glass of local Pinot Noir. I am so glad you shared this. I have a s-i-l struggling with Parkinsons so I will send this to my brother (her caregiver). Parkinson's disease (PD) is a long-term degenerative disease of the central nervous system that mainly affects the motor system. The symptoms generally come on slowly over time. To know what is parkinson's disease treatment search in online.